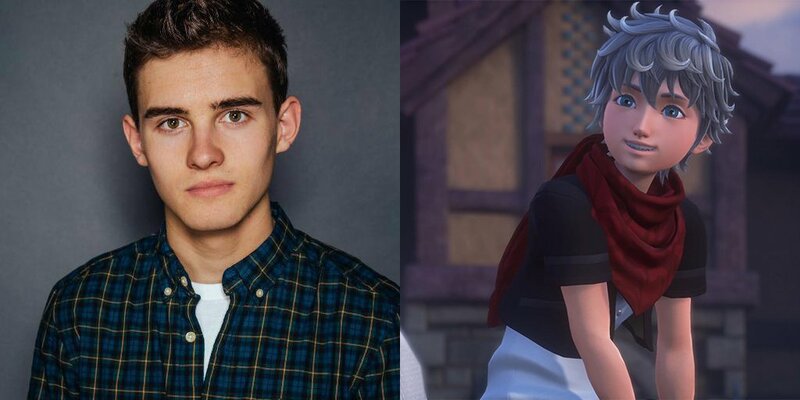 Michael Johnston plays Ephemera in Kingdom Hearts X [chi] Back Cover! 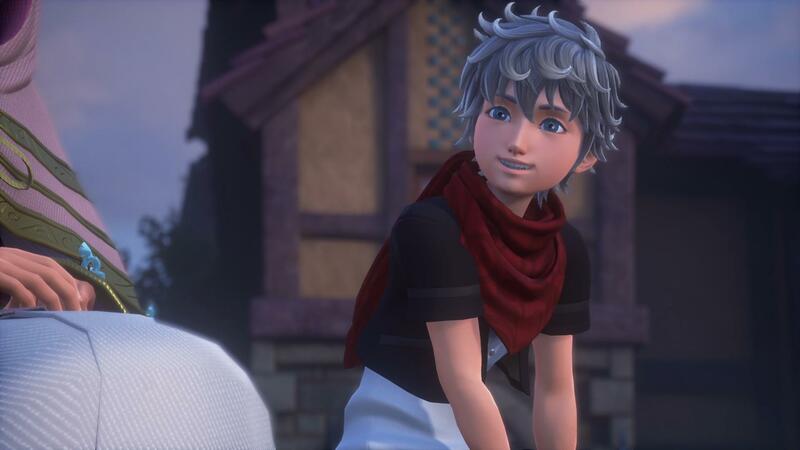 With the release of a brand new Kingdom Hearts HD 2.8 Final Chapter Prologue trailer, screenshots, and also the announcement that Kingdom Hearts Unchained X will be heading to Europe soon, E3 2016 seems to have come early! In the new trailer, we were given a preview of all of the new voices for the Foretellers, the Hooded Figure and, most importantly, Ephemera. 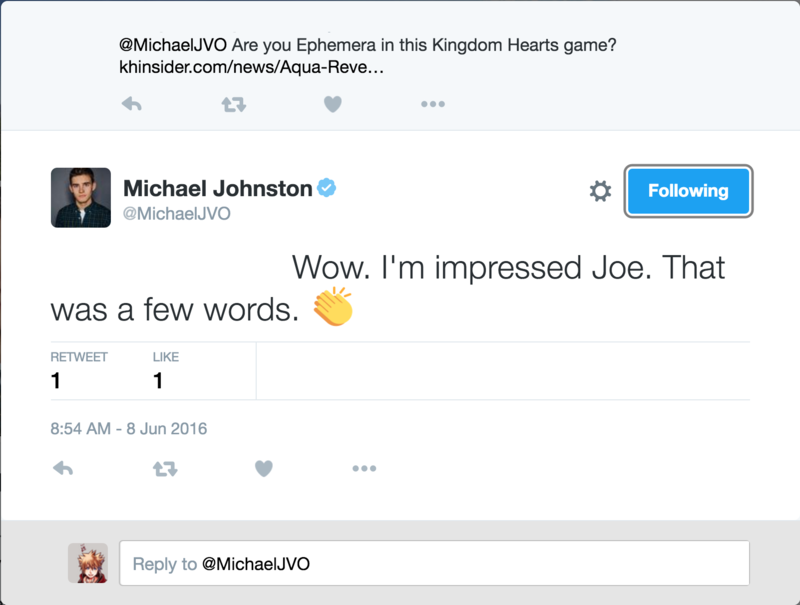 Michael Johnston confirmed to fans on Twitter that he is the voice of Ephemera in Kingdom Hearts X [chi] Back Cover! If you are not aware of Michael Johnston, he plays Corey on MTV's hit television series Teen Wolf and also provided his voice for Mikleo in Bandai Namco's Tales of Zestiria. Now that we know who Ephemera is, who do you think the other English voice actors for the Back Cover cast are? Let us know on our forums! I think someone said Travis ( Roy Mustang) is the one of the Taller Fartellers. Yes Travis Willingham is Ursus/Aced. That is like the one thing that is 100%. I just laughed waaay too hard and way too hysterically HAHAHAHAHA!!!!!!!! Oh my god. Hadn't drawn that connection yet. LOL. Speaking of Fullmetal Alchemist, Foreteller Gula sounds a lot like Todd Haberkorn (Ling). Unicornis sounds like Nolan North but somehow I'm not expecting it to be him. Matthew Mercer always tends to be my safe bet. Works on a lot of Disney shows already. I think he is one of their go-to preproduction voice actors when they work on animated films before hiring movie actors, too, like Kari Walghren. If not, it is Patrick Seitz. It kind of does...But I'm not sure. I feel like I've heard that voice before and it wasn't Todd. My weird curveball guess for Hooded Figure is...Robbie Daymond! She's also Keubey as well and was in Toradora. Robbie is not Cassandra Lee. I was replying to her telling her she is other roles she might know her in. I know who Robbie is. 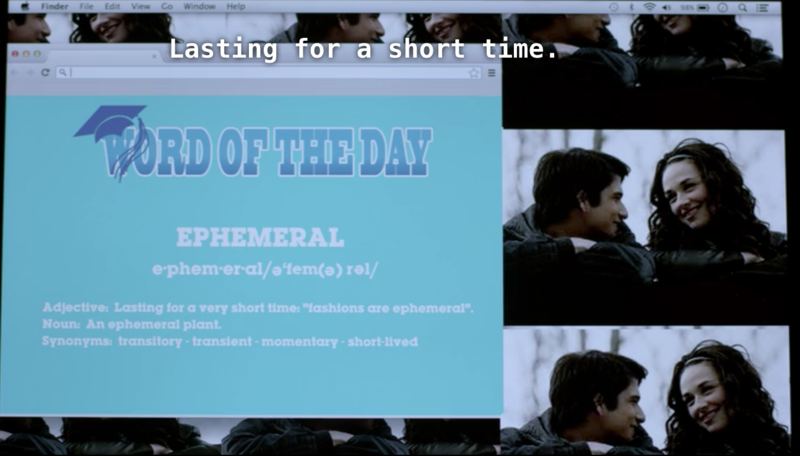 Also, for the record, if you're pronouncing Ephemera based on how you heard it in a youtube video, you're probably pronouncing it wrong. Ooh, you meant the sentence about SAO. nvm then, sorry. Er, so how do you pronounce it? 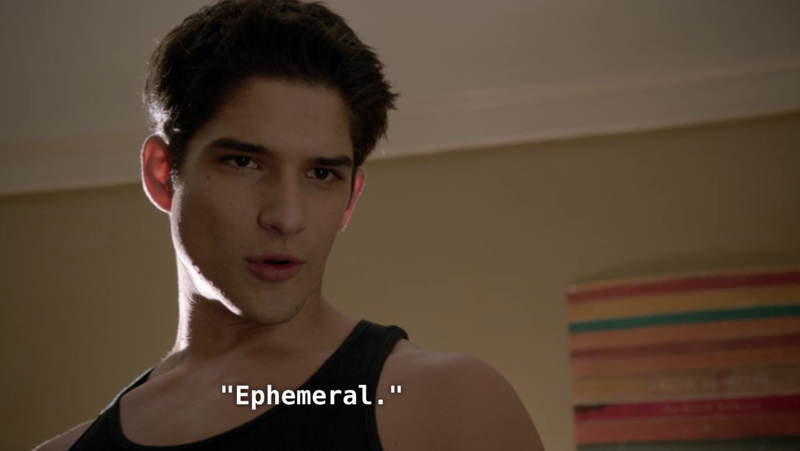 Yeah I've been watching reaction vids to the trailer and every single one says Ephemera wrong. Welp, I've been saying it wrong this whole time too. Whoops. Were you putting the emPHAsis on the wrong syLLAble? So Cassandra Morris said it isn't her. I thought it was a dead ringer but oh well. Seriously? It's not that hard to figure out how it's pronounced. So it looks like Matthew Mercer is probably Ira. Can't actually confirm it since he hasn't responded to anybody directly, which leads to plausible deniability. Nicki Minaj should voice Skuld. Skuld's theme should be a piano version of "Anaconda"
Oh hell no. Kill that idea with Dark Firaga. I need Sofia Carson to voice Skuld thank you very much. how about kira buckland as skuld? H Jon Benjamin as the Master of Masters? ^ Aubrey Plaza was my idea. our lunches are like think-tanks. Honestly that would be a great gesture to Utada. The problem with that idea is that Disney only really hires SAG-AFTRA actors. If they aren't unionized, they don't bother. In the case of finding talent, they usually require them to unionize. To counter your Corey Burton idea, why not James Earl Jones? I'm sorry but all I'm hearing is Gou--I mean Kou screaming over muscles and Aerith readying her yandere guns. But no really, I do like Kira Buckland. She is really good in the shows and video games I've heard. Some people say Troy Baker is voicing in BC. Is that true? If they are saying it is Ira/Unicornis, they are wrong. Matthew Mercer liked multiple KH related tweets about Ira yesterday. If they are saying he is somebody else, I can't fathom who. It couldn't be Gula and not the Hooded Figure and definitely not Aced since that is Travis Willingham (and if not him, Patrick Seitz). Yeah, they said it was Ira. How do you think they'll show her meeting Ava in Back Cover? They can hardly show the scene as it was in Chi, with us the Player being there and all (unless they just show the last part of the cutscene, and focus the camera on her so you can't see what the other person looks like?). Or will they not show the scene at all? Maybe just have Ava speak to Skuld when she goes to become one of her dandelions, and have her say something along the lines of, "Oh, I remember you. You were there when Ephemera's friend, who doesn't say much, showed me strength of heart." The Player is pretty important to events, so the hope is that they will give the player a canon look in the vein of how FFXIV has the Adventurer. They could do the whole "Player is just a shadowy outline" thing, but it gets frustrating to maintain that. If Skuld has a role to play later on in KH3, that scene would be pretty important to have. Wait, I thought that it was Square Enix that decide on the voice actors for all the character original to the Kingdom Hearts series? SE can decide, but Disney needs to approve. As with anything related to Kingdom Hearts. 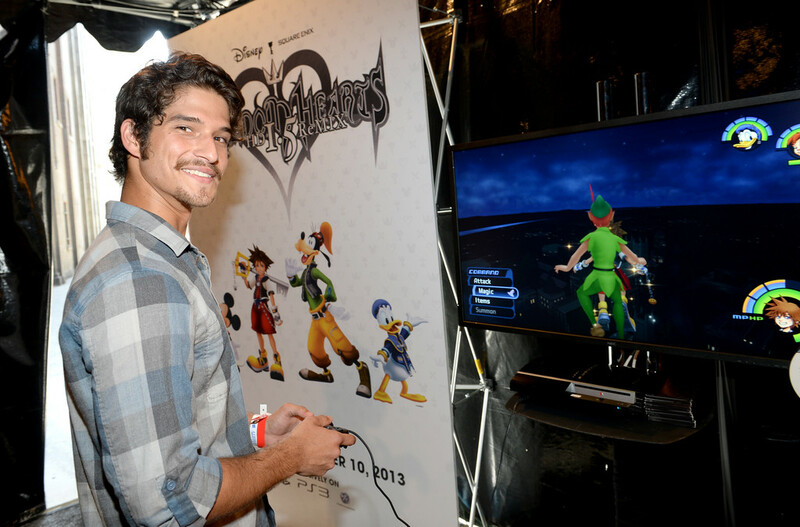 If it wasn't already obvious Square Enix utilizes Disney's resources for talent searching. How do you think this series has had so many film/tv actors? The Player is pretty important to events, so the hope is that they will give the player a canon look in the vein of how FFXIV has the Adventurer. That's what I'm hoping for. It's probably stupid on my part, but I've really come to like the Player. Especially since they've (... err, we've?) started talking. The fact that we're talking at all now has to possibly mean something big, imo, so I really hope that they don't end up ignoring the issue entirely. I mean, we're supposed to be Ephemera's friend who doesn't talk much. LOL. But if we are to be in BC, does that mean Player will have to end up getting a VA, too? Just for the speech he/she makes in that scene, if for nothing else? I sure wouldn't complain, if that's the case! Well... seeing as how Troy Baker voices everyone known to man, it'd only be fitting that he voice the character that embodies the entire world playing's various traits. LOL. I'm actually hoping for Player to be a girl, though! Not that I'd be opposed to Troy Baker doing a female voice for them if that were the case;) LOL. Is it possible that we'll have a Baker's dozen of characters voiced by him? I personally don't mind, because he's so talented and varied, that sometimes it's even difficult to tell it is him. Regardless, he is in basically everything, but that's probably because he seems easy to work with and is so talented. I totally wouldn't mind seeing him in KH though. I have at least 21 games where Troy voices a role. As much as I love him, sheesh, that's a lot. Those are the four voices of video games that you hear all of the time. Totally read that as "Yuri Lowell" at first, and I thought you were listing the characters that Troy Baker has voiced. LOL. I really do love me some Tales of Vesperia... Err, I love the characters in Vesperia, anyway. There were just a few too many plot threads going on in that game for me to completely love the story (even though some of them were so good and interesting), but I should just shut up because all around it's still a fantastic video game/experience and The First Strike movie is also to die for, imo. I'm so over Baker. I was sick of I'm after like hearing him in 3 games. Unlike other VA's he doesn't change his voice and it just breaks the illusion. Were games he was, again, terrible in. Well he did do a decent Mark Hamill Joker impression....somewhat. He used to change his voice until he realized his voice could be marketed on all on its own. It works since his voice is handsome. So is his face. You heard me, and you know my stance on him. A lot of games have used him and it's just annoying now. I don't hear the character speak, I hear Troy Baker and the dozens of other characters speaking. It's weird to listen to Sam in Uncharted and be constantly thinking of Kanji, the driver in The Crew, and Snow from Final Fantasy XIII the whole time. It's like when an actor is in a lot of things and they play the same type of character over and over again. Soon you'll just be thinking of all the other characters they've played rather than the one they're trying to portray this time. i think he's overused, and really doesn't mask his voice much. i wholeheartedly agree with that. but telling me that two of his best performances are terrible? his accent and emotion for joel were spot on and genuine. and not many people can do a mark hamill joker impression either. TLoU was overrated. semi-soid gameplay and decent story, but the real meat is within the acting and character writing. i actually liked troy baker in bioshock infinite, he seemed like he tried "screaming ELIZABETH lots mainly", but its been a couple years since i played that. I agree in all instances except The Last of Us, Arkham Origins and Far Cry 4. Those are the games where I think he showed range and in the case of the last two, really good range (even though I don't care about Far Cry games). If he were to ever be in KH, I would hope it would be in that capacity. Not in the Persona/Catherine/Uncharted/Infamous/Bioshock/everything else capacity. Though I still am bias at least a little because I enjoy the sound of his voice even if it's everywhere. ^........... Yeah staying out of this, no VA can IR can't be in the series because no one wants them, same as no one has control of who can be in the series whether FF, SE titles, or Disney. Back on the actual topic, any other characters that might have a voice, have all the Fartellers and Skuld been speculated?